My name is Adil Osman; I’m 62 years old. People here call me Adil, the watchmaker. I own a small shop near the then building of Hamra cinema. I have been into this craft since I was 10. First I was an apprentice of Abdulla the watchmaker. I learned a lot from him. I have been practicing this craft for the past 52 years. My passion for this job was the main reason which kept me in the business. I have taught this skill to my children. I want it to keep running in my family since it has become a source of living for us. Although I have spent my entire life repairing watches, I never wear one, but sometimes I try others’ watches on my hand. 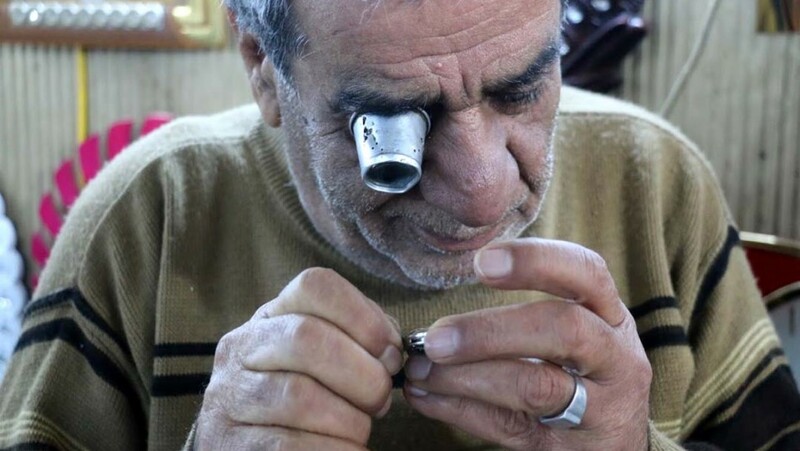 There were nearly 14 watchmakers in Kirkuk whom I knew, they had all passed away.